Having brought you posts on our favorite phone apps and applications for learning Chinese, we thought it would be a good time to cover our favorite China peeps on Twitter. In short, if you want up-to-date news and analysis on what’s happening in China at any given moment these are the people to follow. 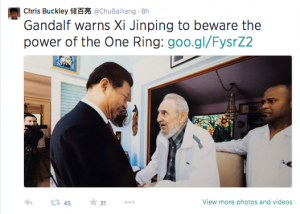 Chris Buckley (@ChuBailiang) – Chris Buckley is a New York Times reporter with some of the funniest tweets around. 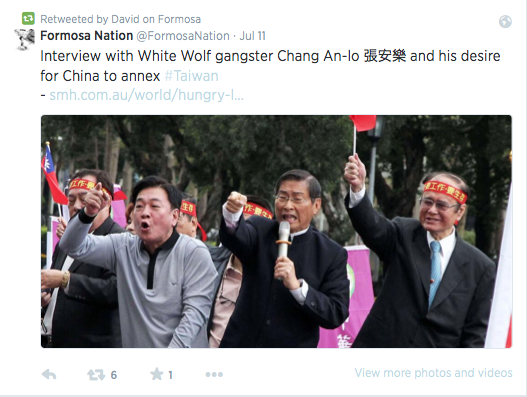 Of course he also provides a regular stream of tweeted links to articles on China’s politics, culture and economy too, much of it from the NYT’s Sinosphere blog where he serves as editor. 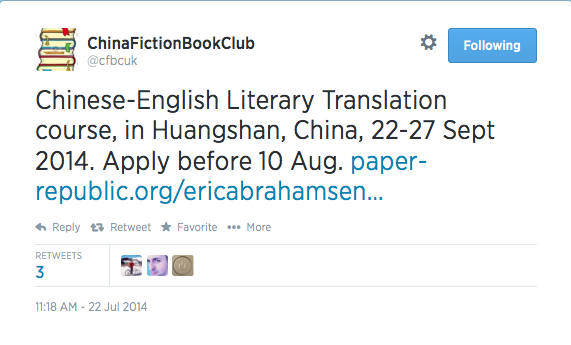 China Fiction Book Club (@cfbcuk) – Founded and run by translator extraordinaire Nicky Harmon, China Fiction Book Club provides all you need to know about the latest Chinese fiction being translated into English. 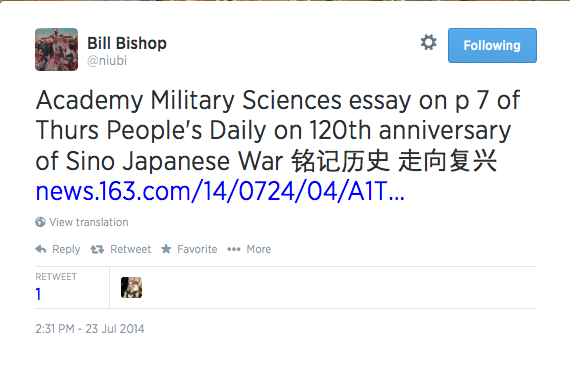 Bill Bishop (@niubi) – Bill Bishop runs Sinocism, by far the most comprehensive China newsletter around. 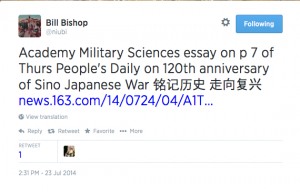 He tweets the most important links from Sinocism too, so his feed is a great resource for both English and Chinese language news. David on Formosa (@davidonformosa) – David on Formosa (sorry, we don’t know his real name) runs the excellent blog Letters from Taiwan and provides valuable insight into Taiwanese politics and society.